PMI Education Foundation (PMIEF) organized its first initiative in east India with a project management training program in Kolkata for the team of the non-government organization, Save the Children. A team of three comprising Subhajit Ghosh, PMI India Champion, Arabinda Bhar, director, training, PMI West Bengal Chapter, and Jaydeep Chakraborty, senior Champion, developed the training material. The sessions on 14 January and 21 January were attended by 11 participants. On the first day of training, participants learned ways to adapt project management best practices from PMI’s A Guide to Project Management Body of Knowledge (PMBOK® Guide) to meet challenges in their day-to-day work. On the second day, participants formed groups and presented case studies. There were extensive discussions on risk, stakeholder, and communications management. 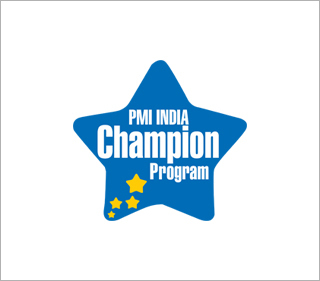 It was an enlightening experience not just for the participants from Save the Children but also for the PMI India Champions. A meeting was organized between PMI India Champions in Bangalore and members of PMI Bangalore Chapter. Fifteen Champions and Champion Advisory Committee member Prasanna Patil attended the meeting in which there were discussions on avenues for collaboration between Champions and chapter members, and several actionable items were identified.